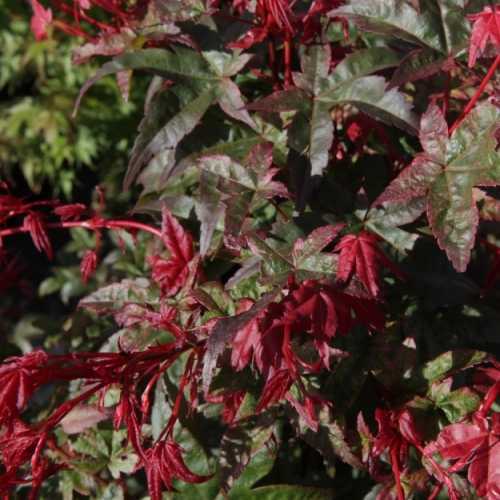 Acer Palmatum 'Deshojo' is a solitary, multistem shrub which can grow to a height of 200cm. It has green and red leaves, but through the Autumn, they become an abundance of green, pale orange and red! A lovely addition to any Garden!